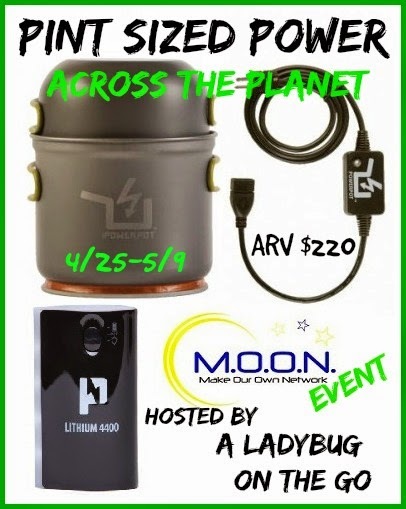 The PowerPot combines the benefits of a lightweight cooking pot and an off-grid power charger so you can cook a meal while charging your gadgets. Power any off-grid adventure while heating up a meal on a backpacking stove or sitting around the campfire. This giveaway is open to the Continental US only (because of shipping costs) and will end on May 9th, 2014.